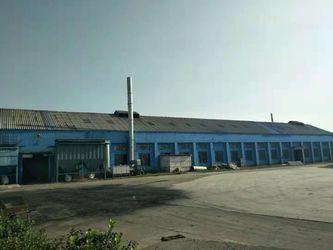 Botou Van-T Import and Export Trading Co.,Ltd is located in "Township of the casting" Cangzhou,have own factory,is a professional manufacturer and distributor,professional to provide"stable quality,stable quantity,cost-effective"products and service. Our company mainly produces all kinds of casting crafts, including lamp post,garden furniture, garden pot, fireplace,fountain,pump,teleph, candle stand,statue and so on.Our products have been Exported to Europe,North America,South America and Australia etc. 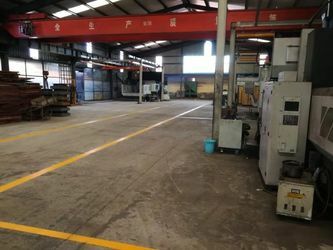 Our casting factory was established in 2001. We produced casting products,such as cast iron window,cast iron chair,cast iron bench end,cast iron lamp post,cast iron statue and cast iron sluice gate etc. At the begining we sell our products in Chinese market. During many years development,our company have mature technology and perfect product features.We have begun to update the production line in these year. In order to expand global business,we established our new trading company,named Botou Van-T Import and Export Trading Co.,Ltd.Our trading company has a professional sales and service team. Our company can provide our customs best qulity products and best service.Our team can build cooperation and friendship with our customs.We will have best cooperation with you. 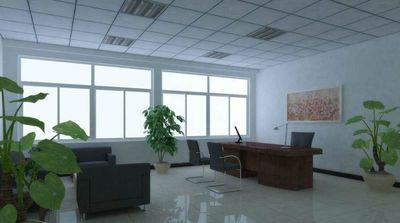 Quotation/Inquiry:We provide our price at the first time. Sample:We can provide one sample for free.You can check our quality. Quality assurance:We control every product quality from production to delivery.We also accept the third part inspection,such as SGS,TUS. Delivery time: Usually 20-25 days. Packing:We usually pack use wooden case.We also can pack as your requests. After sales service:If our product have quality problem,we can compensate same quanty in next order.